we have a gsm sim slot&3g sim slot.so you have put your docomo sim to 3g sim slot. Guys Shareit is released in market! 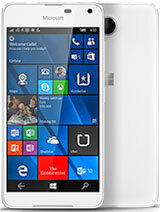 Recently got my Lumia 730,,its great but the problem is am using docomo sim and its not showing 3G coverage how to tackle this please do suggest me,,,before I was using android phones and no such problem existed,,anyone with the same issue??? john hehe, 20 Dec 2014My nokia lumia 730 is pretty fine. Everything works well, im just waiting for an update.The pr... moreSame. 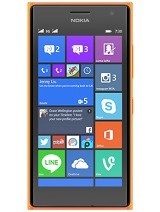 My nokia lumia 730 is pretty fine. Everything works well, im just waiting for an update.The problem are the camera, it gets a little orange-y when i take a picture.And Im getting screen scratches easily. I read alot of complaints about 3g and H+, H+ is faster than 3g, it must be a problem to the network, or worse a defected phone. I recommend this to everyone 1 month use, No lags. Best Operating system. i m using this phone from last 3 weeks.the phone works smoothly and i dnt face any problem but only problem is in the FB apps.in facebook apps i m able to see only news feed which i follow or like before but not able to see any status which is post my friends.so what can i do??? 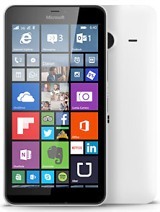 which is the best memory card for Lumia730. I am planning for 32 gb class 10 memory card but dont know which company's card to select. Plz advice me someone who is using memory cards. I don't know what is happening with my Lumia 730. Whenever i play music sometimes Apps show me very large size after this have to restart the phone. Any solution guyz.. 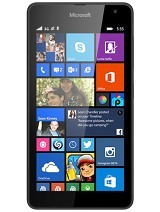 I am using last 3 weeks nokia lumia 730 dual sim phone is very good but small problem network and gprs . This is absolutely perfect in the range of 15k . I dint get any of the problems what all i read in the opinions by others. It surely works perfect and no heat problems. Your phone gets restarted whenever only the app gets hanged. Try re-installing the app and hen try no more hanging problems you get. I surely suggest this phone to everyone. Since a Quad-Core with snapdragon 400.. Very Fast. Worst phone I ever seen. No USB internet connection, not all user friendly, can't share anything with androids. Not there essential apps in store. I'm in plan to put it in olx. 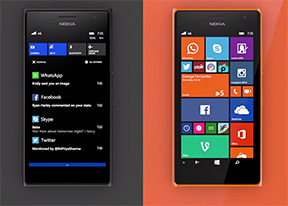 AnonD-332972, 19 Dec 2014Is Lumia 730 getting any hanging problem??? ?Remove the sd card if u r using an old one get a fresh one .